When I first met Mary Duffy, our conversations quickly turned to stuff that could keep me going for hours: What does it mean to be beautiful, or to witness beauty? What does it mean to be a "pretty girl"? Is there such a thing as objective beauty, or does the idea of such a thing remove the essence that makes something beautiful? Many of the ideas from those conversations have found their way onto this blog—and now you get to hear from her, in today's guest post. Mary Duffy lives, bikes, and writes in Philadelphia, and you can follow her on Twitter @maryfduffy. The first time I think hard about the word pretty, is a few years ago, when my all-girl old-time band, Gerle Haggard, is working on an Elliott Smith song I picked for us to cover. Something about Smith's song, “Twilight,” has a hint of the southern old-time lyrics I love, and I know it's going to sound great. As we work out the arrangement I sing the first chorus: “She's a pretty thing, she knows everything, but I'm already somebody's baby.” It's that very lyric, “she's a pretty thing,” that has been hinting at the plainspokenness I think translates “Twilight” from indie folk to the old-time genre. “Pretty” in song lyrics may be a feature of my thinking on the subject, whether it's Roy Orbison singing “Pretty Woman” or Sondheim's “Pretty Women” in Sweeney Todd. What is pretty? Pretty is superficial. Pretty is a judgment we can make in one second. “Yeah, she's pretty” is the tightfisted compliment women dole out when they envy somebody's appearance but can't admit it. Women? Me. It's the compliment I will grudgingly give out when someone asks me what I think of an attractive woman we know. Pretty is not a compliment, it's a concession: She is pretty. Pretty was something I envied. I envied women I thought to be easily, instantly attractive, women whose features require no hard work. Beauty may be in the eye of the beholder, but Pretty is easy on the eyes. And despite the titles of the songs, I think of the word pretty, and I hear “girl,” like those psychiatric association tests. “Pretty?” “Girl.” Pretty girls were pretty, and my definition has a hard time escaping the tautology. 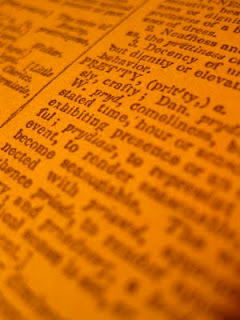 Pretty: a state of being I could never attain, not being pretty myself. Pretty girls had a kind of surface of perfection that made them impervious to the slings and arrows of adolescence, was how it seemed. Pretty is a word for girls, rather than women. Who is pretty? And what was a pretty girl in my girlhood? I have in mind an amalgam of many girls in middle and high school. I have an amalgam in mind because I realize the Pretty Girl looked like all the other pretty girls, precisely because she was pretty. She had lank, honey-blond hair. She wore makeup, and silver spoon rings, preppy clothes. She didn't have those little red dry-skin pimples on her legs, her legs which were not pale, either, but all a very nice even tan. I could never understand how generations of people with ostensibly Northern European ancestry—with last names like Murphy, Bauer, Andersen—managed to breed this crop of girls who could tan so well. I eventually figured out what a tanning bed and bronzer was. Likewise, I couldn't understand why they all had this very odd sort of honey-blond brownish hair, until I figured out that not only women who wanted to cover up gray bought hair dye. Just a couple of weeks after we met, a friend played a different Elliott Smith song for me, “Pretty (Ugly Before).” It's a love song, of course, and in sharing our musical tastes with each other, he played this one for me. The chorus of it goes, “I feel pretty, pretty enough for you / I felt so ugly before, I didn't know what to do.” Shakespeare it's not, but it's as true as pop songs get. Until I heard that, pretty was the purview of some very ordinary teenage queen bees whose names I barely remember today. For Smith, pretty and ugly could be feelings, not congenital conditions. I felt ugly before, too. And how can I forget West Side Story? Sondheim again: I Feel Pretty.